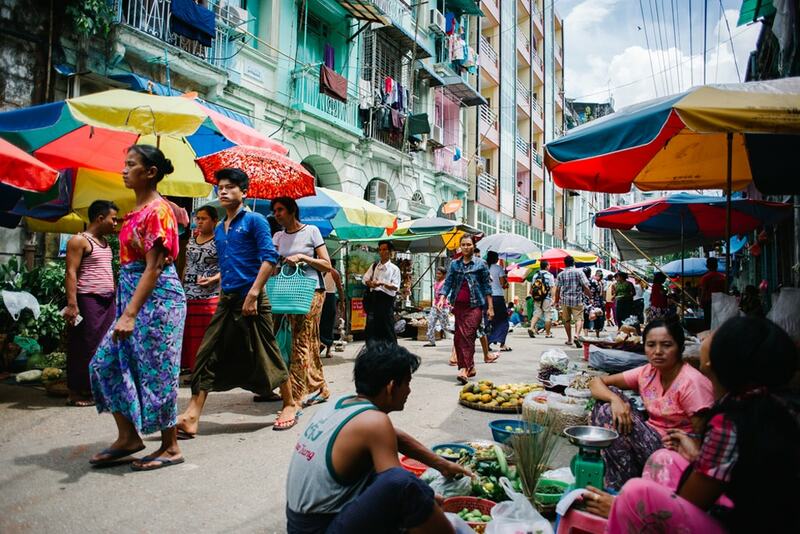 Street markets in Yangon are the kind of markets that make ambling travelers almost swoon. They brim with charismatic locals sat under bright umbrellas selling anything from the ripest of mangoes to the dawn’s freshest catch. Yangon’s market scene is where the allure of Myanmar’s culture comes to life, and here are some of the city’s best and most unique bazaars to explore. 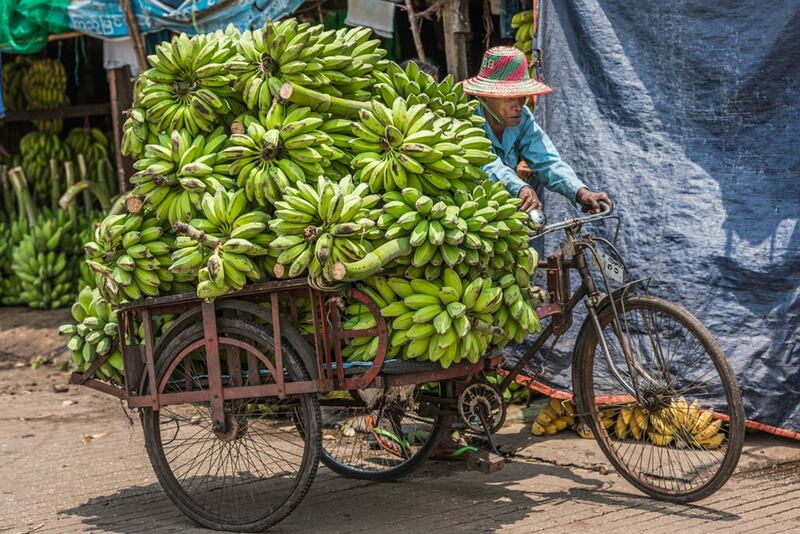 Go bananas at Yangon’s crazy coconut and banana market. Picture big bunches of bananas all tousled about and cascading piles of coconuts practically pouring into the backs of small trucks or trishaws ready to cart them away. Yangon’s coconut and banana wholesale market, located to the side of Kyee Myindaing Kanner Road near the intersection of Bagayar Street, is also known for having mountainous mounds of mangoes when in season. It’s the right amount of commotion for a memorable Myanmar encounter. There’s action here day and night. Look for the hues of a sunrise or sunset reflecting off the Yangon River when swinging by. Myaynigone’s neighborhood market is a true taste of township life in Yangon. Most townships in Yangon have their own markets tucked within the folds of their communities. Some stretching entire street lengths, others congesting busy intersections – like Myaynigone’s market – so perfectly packed with everything Burma. Fresh fruits, vegetables and flowers flaunt their colors and fragrances as locals zigzag through. 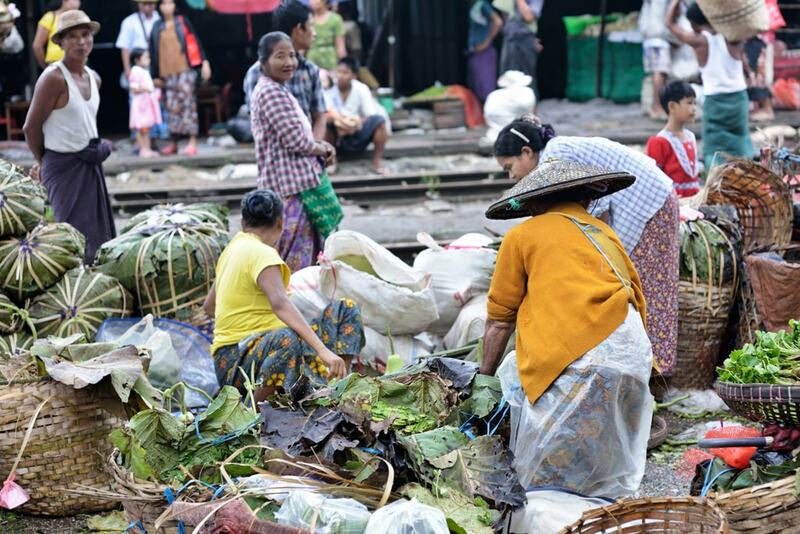 Walk up Aung Taw Mu Street to see trails of mossy greens cling to weathered buildings and rickety wooden tables nearly collapse with the weight of the produce they bear. Nearby Shan Kone Street has a few Myanmar-style beer stations mingling with several very well-established restaurants catering to tourists’ tastes. Fishiness abounds at Yangon’s overnight fish market. Local fishermen dressed in rolled-up sporty shorts, jerseys and colorful rain boots can be seen sloshing the day’s fresh catch at San Pya Fish Market just up Kyee Myindaing Road from the coconut and banana spot. It’s open all day and night, but go before sunrise for the best experience and expect to have your senses aroused in every possible way. The deals that go down here with fish traders and suppliers offer a fascinating glimpse of the journey seafood goes through to get from water to table in Yangon. Downtown Yangon in all its gritty glory feels like one big, sprawling market. Moseying along pretty much any street in Yangon’s city center feels like a never-ending market. Most shops found on the same block or two sell similar types of items, so it’s as if entire swatches of downtown are identical stores. Overflowing from the mouths of these bustling urban tributaries are vendors and their baskets bursting with anything and everything a shopper could want. Theingyi Market is the largest traditional market in the area. It boasts many household goods, cosmetics and medicinal herbs. Trade a shopping cart for a train car at Da Nyin Gone Market. 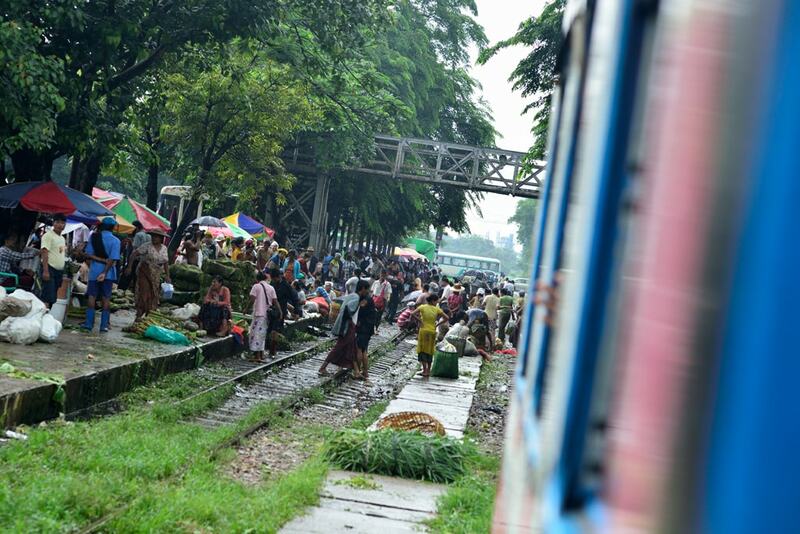 One of the most thrilling stops along Yangon’s Circular Railway is Da Nyin Gone Station — where an actual market seemingly spills its way onto the tracks as trains slow to a halt. The buzz of the area is riveting. Hands extend out train windows to buy tiny sachets of quail eggs. Arms reach in through train doors to toss on a load or two of just-picked watercress. Why not hop off and follow that rich scent of something beckoning for a closer sniff? A wet market is very close by as well, so it’s worth adventuring some before the next train comes along in about 30 minutes. History and artistry combine at Bogyoke Market in Yangon. Bogyoke Aung San Market (also called Scott Market) is by far the touristiest bazaar of them all. To travel to Yangon and not tread upon Bogyoke’s cobblestone streets or admire its colonial façade would be a shame. There are hundreds of shops within its enclosed compound — the majority filled with Myanmar handicrafts and souvenirs. And among these shops are paintings on display for purchase. Many stunningly depict popular scenes of Myanmar beautifully splashed against a backdrop of canvas. Bogyoke Market is also ideal for finding traditional fabrics and having outfits made or altered. This historic landmark opens around 10 a.m. and closes at about 5 p.m. from Tuesday to Sunday (not open Mondays). Yangon's night market along Strand Road is an all-you-can-eat street food buffet. Yangon’s night market along Strand Road is an all-you-can-eat street food buffet. 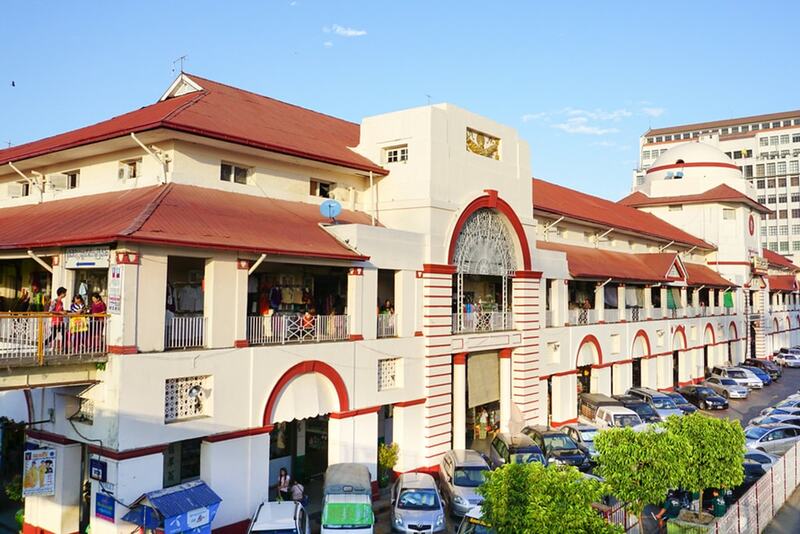 Meant to help with the overcrowding of some of Yangon’s busiest thoroughfares, this newish night bazaar that runs along Strand Road between 37th and Wa Dan Streets (Kyauktada and Lanmadaw Townships) is the city’s first market regulated by the government. A wide array of familiarity wafts through the air as patrons go from vendor to vendor sampling favorite Burmese street food. Yangon’s night market is open from approximately 3 p.m. to 11 p.m. daily. This is definitely the place to get your eat on. 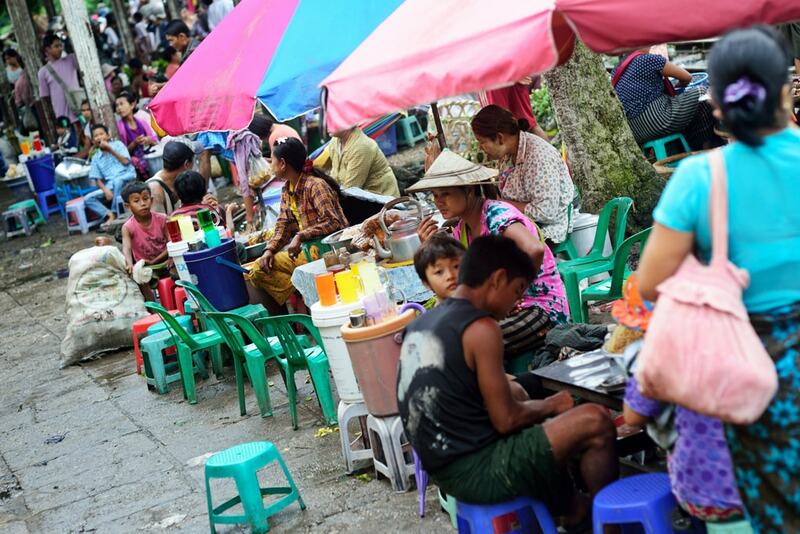 Street markets serve a very vibrant, vital role in Myanmar’s society. By experiencing them up close and personally, a visitor is able to genuinely interact with the people of Myanmar and the Burmese way of life.